Pedestrian Accident Lawyer in Seminole FL | DeLoach, Hofstra & Cavonis, P.A. Were You in an Accident as a Pedestrian? Because of our beautiful year-round weather, there are many pedestrian, bicyclists and scooter accidents in Florida. The sad fact is, according to the National Highway Traffic Safety Association (NHTSA), there are nearly 5,000 pedestrian deaths and 78,000 pedestrian injuries across the country each year. These injuries are caused by both drivers and construction defects. 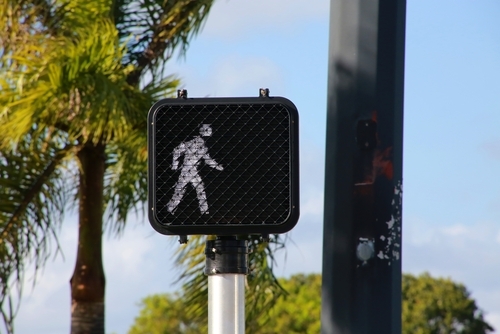 No matter whether a vehicle or property defect causes the Florida pedestrian injury, the pedestrian may recover damages for the injuries suffered, if the accident was caused by someone else's negligence. Negligence is the legal term for the failure to do, or not do, something that a “reasonable person” would do in a similar situation. In order to establish a negligence claim, the injured person must prove that the other person was at fault. Our experienced pedestrian, scooter and bike accident attorneys in Pinellas County, have the resources available to fully investigate the incident to make sure your negligence claim is rock-solid, which will enable you to obtain the maximum financial compensation. Collect contact info from every drive and all available witnesses. You should try to get everyone's name, address and phone number. From the drivers make sure to obtain all insurance information and license plate numbers as well as the make, model, and year of their cars. It is a mistake to assume that the police officer will obtain information from every witness. Taking photos to ensure that all evidence is preserved. The pictures should be of your injuries, all of the automobiles involved, and the entire accident scene. Only speak to the police officer who investigates your accident specifically about how the accident occurred. While a statement to a law enforcement officer cannot be used in court, anything you say to other drivers or witnesses can be. Immediate get medical care for your injuries. Get advice from a Florida pedestrian & bike injury lawyer. Getting injured while walking, riding your bike, or riding your scooter can be very scary but one thing you won't have to worry about is paying a lawyer to help you. At DeLoach, Hofstra & Cavonis, PA, you are not responsible for any of our fees or costs unless we recover damages. We aggressively pursue your claim and cover any fees. Once you are awarded a verdict or settlement we will be compensated but we will never expect you pay any of these costs out of your own pocket. Call us at 727-397-5571 or contact us now by using our online form.